Do Lipoflavonoids Help Tinnitus Go Away? | Why Are My Ears Ringing? One of the products for ringing in the ears that always comes up when researching ways to silence these annoying sounds is Lipoflavonoid. What is this product which is commonly recommended for tinnitus and do lipoflavonoids help tinnitus go away? Lipoflavonoid (or Lipo-flavonoid) is a proprietary, over-the-counter, dietary supplement formula created in 1961 by NUMARK Laboratories, which is claimed by the manufacturer to improve circulation in the inner ear, as a means of combating tinnitus (ringing in the ears). While it has not been expressly approved by the Food and Drug Administration for this purpose, the formulation and package claims comply with FDA regulations for dietary supplements. Lipoflavonoid is sold as a dietary supplement. It is composed of eriodictyol glycoside (a bioflavonoid found naturally in the peel of lemons) and the following vitamins: vitamin B6 and B12 (B complex), vitamin C, niacin, riboflavin, thiamine, choline, inositol, and pantothenic acid. While it is one of the most commonly recommended products for ringing in the ears, there are no research studies that have found it to be effective for tinnitus treatment but this is not something that should worry you greatly since most natural remedies are not usually backed up by research studies. Any positive testimonials are merely anecdotal. 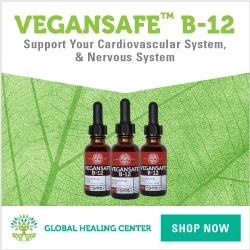 While you don’t get any information on the exact composition of the bioflavonoids and vitamins contained in Lipoflavonoids, you can get this particular supplement or simply eat the foods that contain these bioflavonoids and vitamins or use other cheaper supplements that contain these bioflavonoids and vitamins. Flavonoids are antioxidants and add color to foods just like carotenoids such as blue, red and yellow. Antioxidants help to prevent free radical damage to healthy cells. Free radicals are unstable oxygen molecules which in an effort to “heal” themselves steal compounds from healthy cells but this only ends up creating more free radicals. Free radical damage increases the risk of developing various diseases and conditions such as cancer, heart disease, diabetes, etc. Tinnitus is not considered a disease but rather a symptom of something that is wrong in the body. Can flavonoids and other vitamins help to correct this underlying issue? Anything’s possible. Flavonoids keep the platelets in the blood from clumping together in the bloodstream and forming blood clots which helps to improve blood circulation and prevent heart disease. Poor blood circulation in the body and in the ears can be one of causes of tinnitus and flavonoids can help with this in addition to preventing other free radical damage to healthy cells. This is probably why Lipoflavonoid has been effective for some tinnitus sufferers. While you can use this dietary supplement, you can obtain flavonoids from broccoli, apples (the peel contains the most flavonoids), citrus foods (the pulpy parts of citrus fruits), kale, grape juice, red wine, onions, cranberries, etc. In addition, many of the other vitamins contained in Lipoflavonoid are commonly recommended for people with tinnitus especially the B vitamins as some research has shown that a deficiency in B vitamins may increase the risk of developing tinnitus. Other vitamins and minerals that you need are discussed here. Do Lipoflavonoids help tinnitus go away? Anything’s possible but it is important to remember that since the causes of tinnitus can vary from one person to another, treatment that works for one including using Lipoflavonoid, may not work for another. You’ll only know whether it is effective or not when you try it for yourself. Do you have to get Lipoflavonoid? Not necessarily since the flavonoids and vitamins contained in this dietary supplement can be found in various foods and other supplements so whether you choose to use Lipoflavonoid is up to you. Do Lipoflavonoids help tinnitus? They may or they may not but this is not the only natural method you can use in an attempt to get rid of tinnitus. For other very effective natural remedies for tinnitus, you need the proven holistic guide Tinnitus Miracle which has helped many sufferers quiet the annoying and sometimes debilitating sounds. Find out more about this guide here. Prev Does Apple Cider Vinegar Help Tinnitus?